The world’s largest agricultural machinery event, Agritechnica, saw the unveiling of many new machines. Among them was the new G4500 range from Tobroco-Giant. 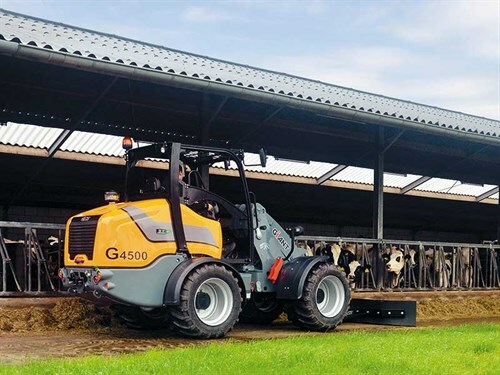 The G4500 and G4500 tele made their exclusive debut, with the compact and manoeuvrable G4500 machines standing out for their productivity, comfort, and reliability. The first machines from the range will be delivered to customers in early 2018. Like all Giant machines, the G4500 models distinguish themselves by a high tipping load compared to their own weight. 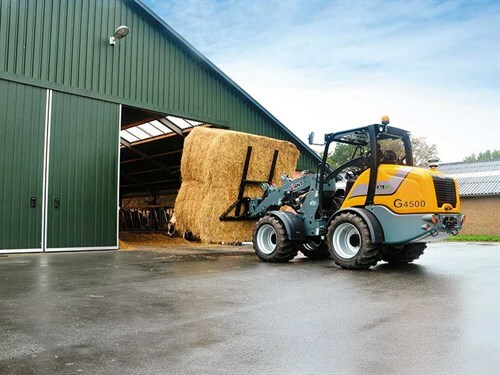 Depending on the options, the G4500 with Z-bar has a tipping load between 3500 and 4000kg (measured with hinge point in lower position). For extremely heavy work, there’s the G4500 X-TRA. It has a lower front frame and can lift even more weight due to its low centre of gravity. Because of these features, the X-TRA models have become extremely popular for construction workers and ground care. A G4500 X-TRA has a tipping load between 3500 and 5000kg (measured with hinge point in lower position). The machines are developed with productivity as one of the spearheads. 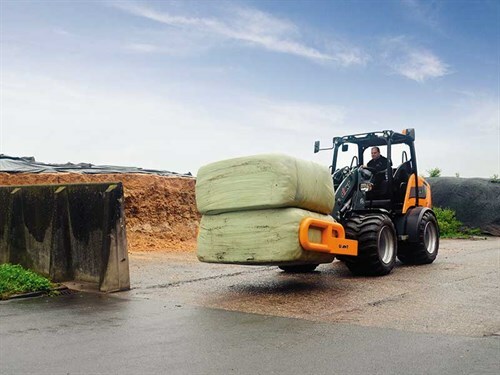 Whether transporting large quantities of loads or rough-working activities, the hydrostatic four-wheel drive with automotive control (Rexroth) and 100% switchable lock on both, 16-tonne axles always provides enough grip. Optionally, the driving speed can be increased to 35km/h, which improves productivity even more. Various hydraulic systems are available. The basic machine will be equipped with a direct-driven hydraulic system on the joystick, which can be extended to a servo-controlled version. A high flow version will also be available and can deliver 120 litres per minute to the chosen attachment. The machines are standard equipped with a safety roof and this can optionally be extended to a silent, full-option cabin. The G4500 machines have been extensively tested on safety by an independent authority and are internationally ROPS/FOPS certified. All-round visibility gives the operator an excellent view on his work and allows safe and precise operation.